Congratulations to the following folks for winning the following prizes in my annual Holiday Giveaway! The winners have already been notified. Tami A. won a signed copy of Fourteen Tales of Thirteen Covens: Bloodlines Part One! 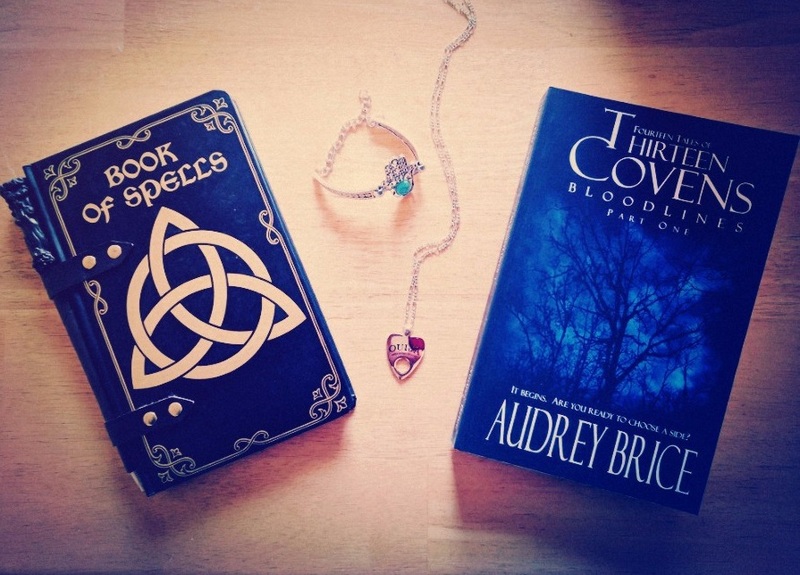 Emily Anne C. won a the spellbook journal! Dusty J. won the Hamsa Hand Bracelet! Kimberly S. won the Ouija Planchette necklace! There were 43 entries in the giveaway! I loved learning a little about everyone and almost wished I had more prizes to give out. I want to thank everyone who entered and wish you all a Happy Holiday Season and a Bright, Healthy, and Prosperous New Year! This entry was posted in contests and tagged giveaway, holiday, winners by Steph. Bookmark the permalink.